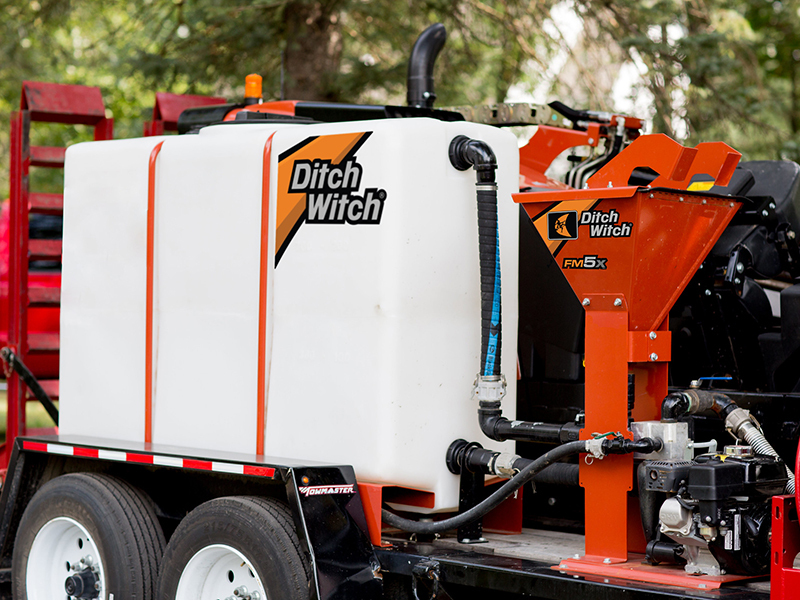 With its innovative line of fluid mixing systems, the Ditch Witch organization set the standards for efficiency in the horizontal directional drilling industry. 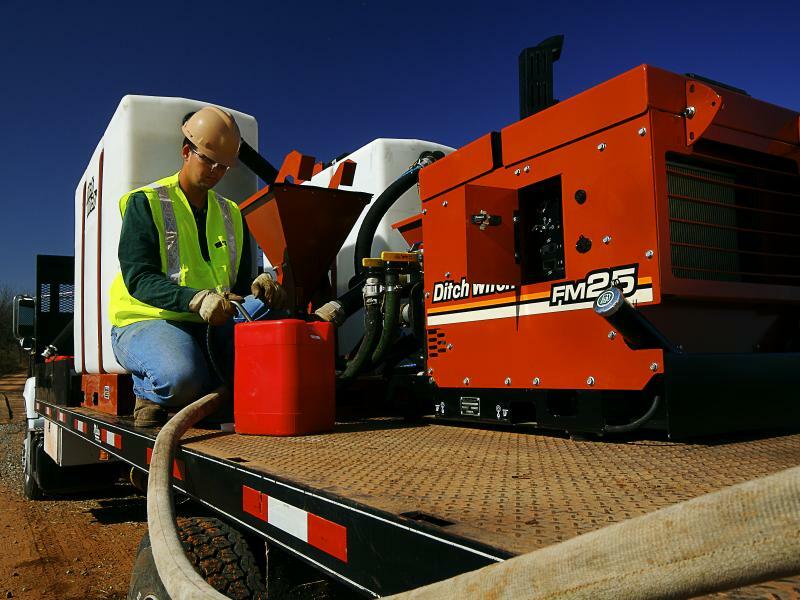 The latest addition to this family is the FM25, a reliable, low-maintenance drilling fluid mixing system that makes short work of the mixing process. Simple design and multiple configuration options accommodate a variety of setups and make transport easy. 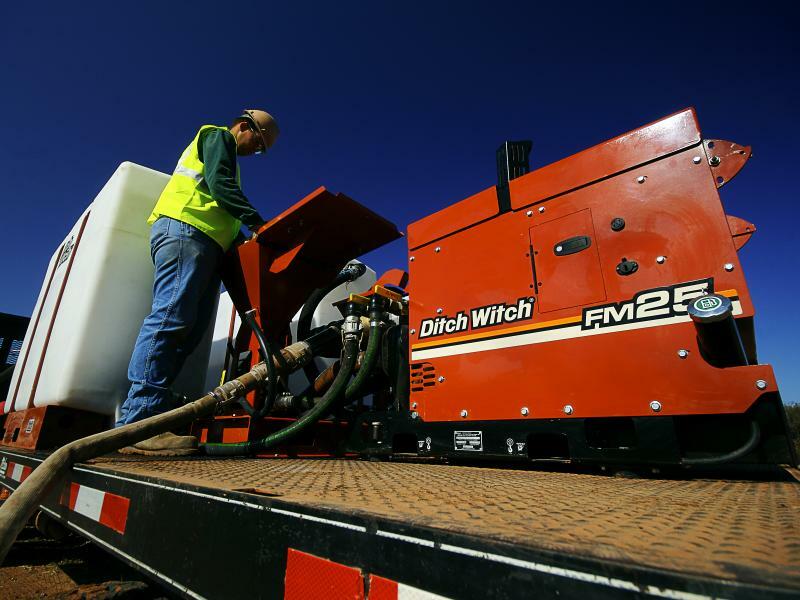 25-hp Kubota diesel engine provides the power to support even the largest Ditch Witch directional drilling systems. Venturi wet hopper has steeper sides that allow fast, thorough fluid mixing. 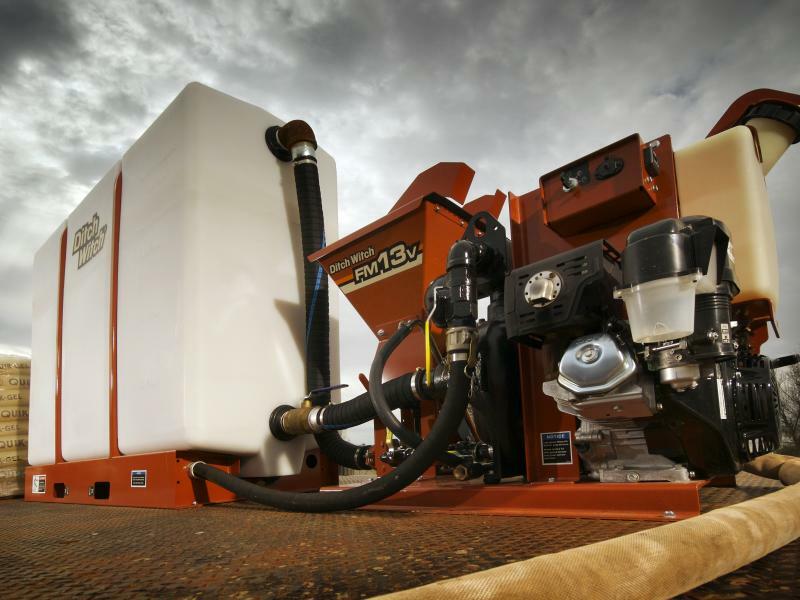 Choice of one or two hoppers, either a 500-gallon or 1000-gallon tank, and a fuel fill on both sides, allows flexible setup configurations on a trailer or truck. Optional accessories, including an anti-siphon tank fill and an umbrella kit, enhance the FM25’s versatility.